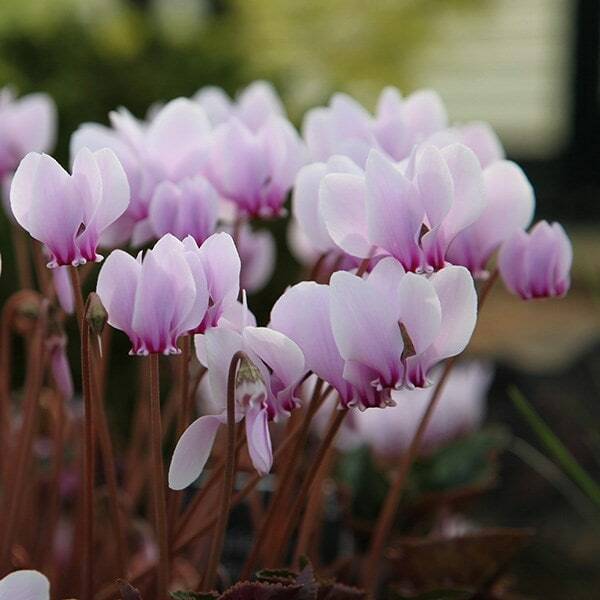 With their pretty, marbled, heart-shaped leaves and upright, fragrant pink or white flowers, these easy to grow cyclamen have a long season of interest before disappearing below ground over the summer. The flowers of this autumn-flowering cyclamen often appear well before the leaves, which form a pretty carpet after the flowers have finished. Although they are usually planted in shade, these cyclamen originate from the Mediterranean, so are equally happy in sun. Plant them en masse in a woodland setting with ferns and other shade-tolerant plants or around the base of deciduous trees. Garden care: Plant tubers with the rounded usually smooth side down, shallowly in humus-rich, fertile soil. Apply a mulch of well-rotted leafmould around the crown of the plants in spring as the foliage starts to die back. All plants purchased have been worth the money spent. A beautiful display very pleased. also wonderful planted in troughs, at nose height, to capture the scent. I was given some beautiful cyclamen with their lovely pink flowers in November. I have been keeping them on a cold windowsill indoors. Should I keep them as a houseplant or would it be better to plant them in my garden? Thanks. 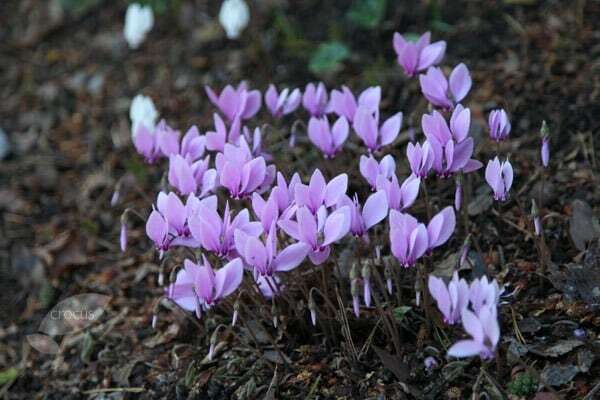 Hello there These are garden cyclamens so yes they will be better planted into the garden or in containers. They will be coming to the end of their flowering season now, but the leaves will carry on for a time until they die back until the following autumn. Trying to fulfil a 'last request' of my departed father, he hoped that he could have spring and autumn bulbs planted over his plot in the cemetery (not churchyard). I was planning on planting snowdrops and daffodils for the spring and crocus and cyclamen for the autumn. Owing to the poor soil - mainly clay - are these bulbs likely to produce anything? They will have full sunlight. Hello, This sounds like a lovely idea, and a wonderful way to remember your father. These bulbs will all grow in clay soil, provided it is not too heavy and wet. If you think it may be lacking in nutrients, you should dig in some composted farmyard manure before you plant, and if the drainage needs to be improved, lots of sharp sand should help.